Our November sponsors are Milton Abbey School, which is an independent school for day and boarding pupils in the village of Milton Abbas. Thanks to Milton Abbey School for sponsoring our November Good Causes breakfast which was at the Shire Hall Historic Courthouse Museum. Nick Cloke, Head of Marketing & Communications spoke to us about the services that Milton Abbey School provides and the “exciting” future of the school. The November Breakfast was a special extended breakfast to showcase local charitable and `not for profit’ organisations in the local area, why did you choose to sponsor the networking breakfast? We chose to sponsor the event as it was a good opportunity for us to present Milton Abbey School to 70+ delegates from the local business community. The charitable theme also linked to us in two ways. As a Registered Charity, we are always grateful for any donations, either financial to help us provide bursaries and support students, or gifts in kind. As a school, we hold Community and Voluntary afternoons every Wednesday, so we’d be happy to hear from any charitable groups who would benefit from our students’ help. Could you tell us a bit about Milton Abbey School and the services you offer? 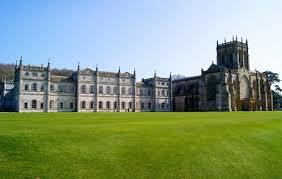 Milton Abbey is a small school, which provides one of the widest ranges of courses in the independent sector. Because of this, we pride ourselves on being able to offer an education that is truly tailored to the abilities, interests and future ambitions of each child. Milton Abbey also runs a successful year-round events enterprise; offering weddings, conferences and corporate events, private functions and residential accommodation to members of the public and organisations from across the country. We also run a thriving Golf Club with growing membership, and our popular Tea Rooms are open to the public during School holiday periods. Milton Abbey School has been around for around 60 years, what makes it a success? The School has always provided different ways for young people to learn, being one of the first to offer vocational courses alongside traditional GCSEs and A-Levels. We are often listed as one of the most beautiful independent schools in the country, which attracts people both to the courses and recreational activities our rural setting allows. We are also proud to offer a full boarding option – with an extensive range of evening and weekend activities – as well as a popular option for Day Pupils, which allows them to be fully integrated into the life of the School. 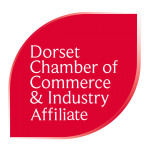 Why are you a member of the Dorchester Chamber for Business? Membership of the group is beneficial to us as it helps raise awareness of the School and its extended services, to organisations within the local community. As well as sharing information on the benefits of a Milton Abbey education, we aim to also raise the profile of Milton Abbey as one of Dorset’s most spectacular venues for corporate events. What do you see in the future for Milton Abbey School? We continually adapt the courses we offer based on national trends and student requests. With a new Head, Judith Fremont-Barnes, also starting at the School this year, we are excited about the future direction she will set.